Consumed with multiple and crazy all cash offers it is hard to believe that the haunting past of the recession still casts a shadow. 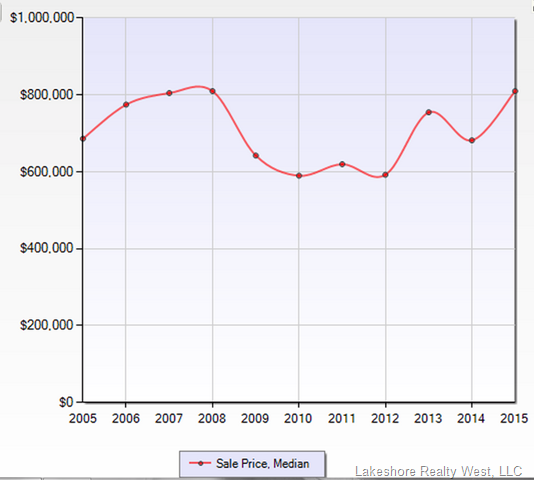 The truth of the matter is that Woodinville’s wine country is just starting to hit home values that can be considered pre-recession values. 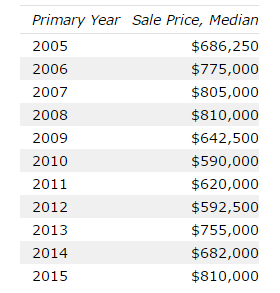 The chart and graph below show the last 10 years and associated median prices for Woodinville wine country’s Hollywood Hill neighborhood. The good news is Hollywood Hill is officially showing signs of recovery. For buyers that means, stay in the fight, it is a good time to invest and for sellers your questions about when to sell have been answered. Now is a very good time to sell!